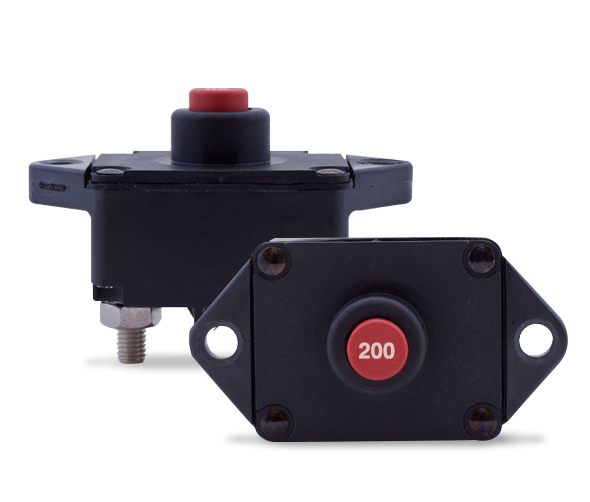 The Series 19, developed, designed, and manufactured in the USA, is used in accessory or auxiliary direct circuit (DC) electrical systems operating in harsh environments to provide protection in the event of overload and, or short circuit interruptions. The Series 19 is offered in 25 to 200 amps and is designed to meet many regulatory specifications, including IP67 and IP69K water ingress protection. MP’s new LED tripID™ is available in the Series 19 as a vertically integrated visual alert for a tripped circuit condition.